One of the hardest years to pin down a top 20. It seems like every time I turned around, there was some new music to be heard: some by old standbys and a lot by new acts. A couple of labels seemed to stand out (Sacred Bones, Trouble In Mind). Looking at my list from last year, I noticed that not a lot has changed: a lot of power pop/punk throwbacks alongside the noisemakers and sadsack song-writers. The last couple of years, #1 choices jumped out; I don’t even know what my top choice is as I write this. I might just go with my gut and throw on whatever got the most spins. 1. Cute Lepers – ADVENTURE TIME. Fits nicely between my plays of the Buzzcocks and the Rezillos. Cotton candy with some ground glass. 2. The Men – LEAVE HOME. Some screaming borderline metal/noise, post-punk mishigas with a krautrock topping. 3. The Ex – CATCH MY SHOE. First album with the new ranter. After overcoming my initial Sok-shock, Arnold de Boer fit right in. Still with the jagged guitars, jagged politics, elephant drums, some catchier-than-usual hooks and some blaring brass heralding doomsday. 4. 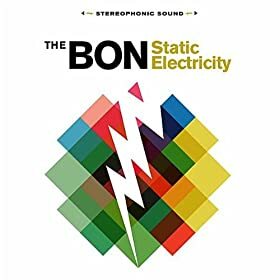 The Bon – STATIC ELECTRICITY. Leather Uppers off-shoot, all killer, no fluffernutter (I shouldn’t write this before I’ve had lunch), twin guitars, 60’s psych flute, cool Kinks cover. 5. The Mekons – ANCIENT AND MODERN 1911-2011. The Last Of England, through caustic, sad eyes. “We’ll cut the grass after the bombardment..” Raise a glass to decay. 8. Thee Oh Sees – CASTLEMANIA. Two albums this past year, both great. This one wins because of the nifty covers, including one by the West Coast Pop Art Experimental Band. TOS play psych-garage like they are having fun and not concerned with re-writing the Nuggets recipe. 9. Dexter Romweber Duo – IS THAT YOU IN THE BLUE? High drama and cigarette smoke garage-noir. 10. Evangelista – ANIMAL TONGUE. Carla, Carla, Carla. Another gem, but this one takes awhile. Claustrophobic and bloody. There’s more, but space is a place. Yo La Tengo, The Mekons, Dave Alvin/Los Straitjackets, Barrance Whitfield/ Mighty Fines, Neko Case. Poetry. Moneyball. Meloncholia. Higher Ground, Attack The Block. I’ll slap myself in the head for things I’ve forgotten, but the head Poopster just walked in and I wanna get this done. See ya. Be the first to comment on "John Lefsky Poop ’11"